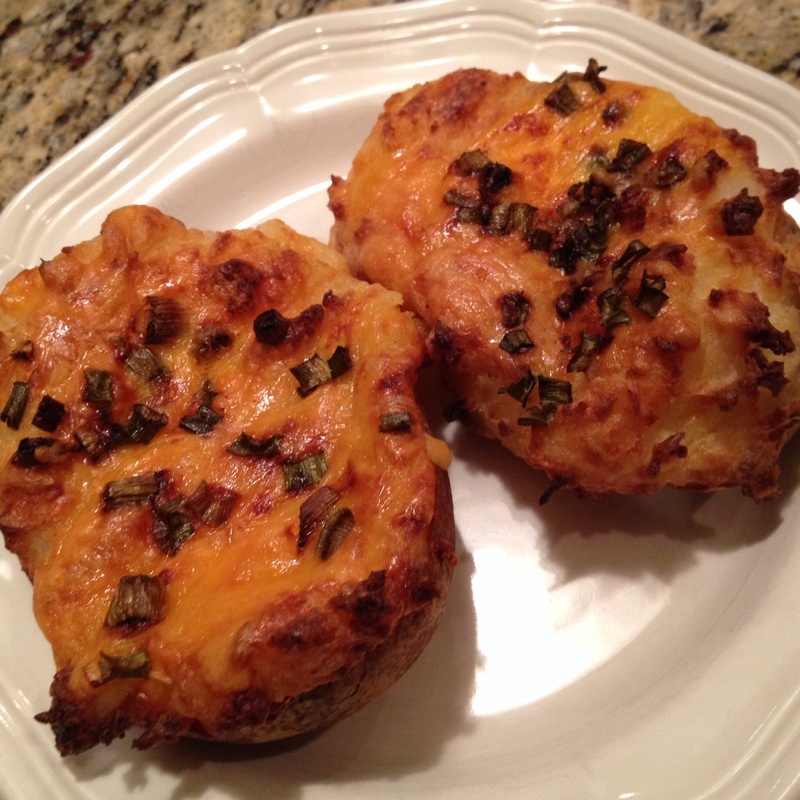 Twice Baked Potatoes – T.W.O. Published on January 23, 2014 January 22, 2014 by T.W.O. It’s almost Super Bowl Sunday…do you have a menu ready? If not, don’t worry! 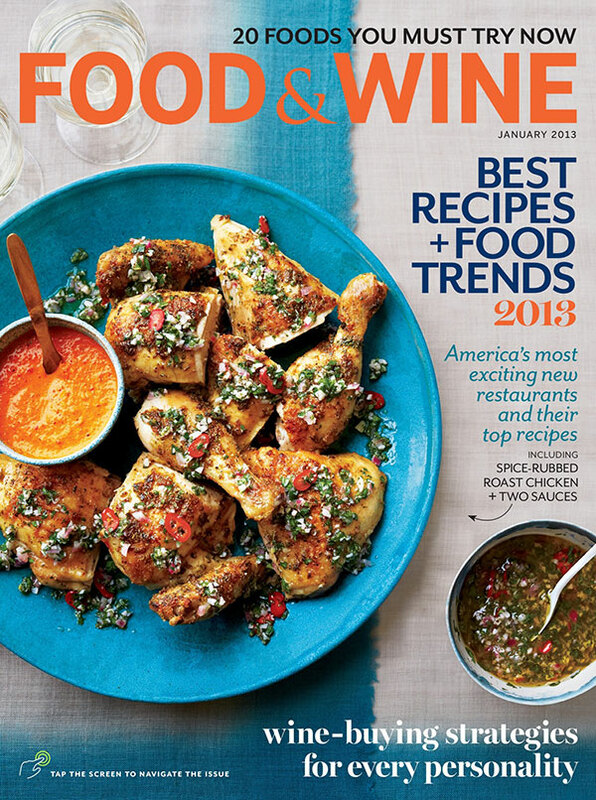 Between now and February 2nd, we will be featuring some delicious recipes that will be perfect options for your spread! 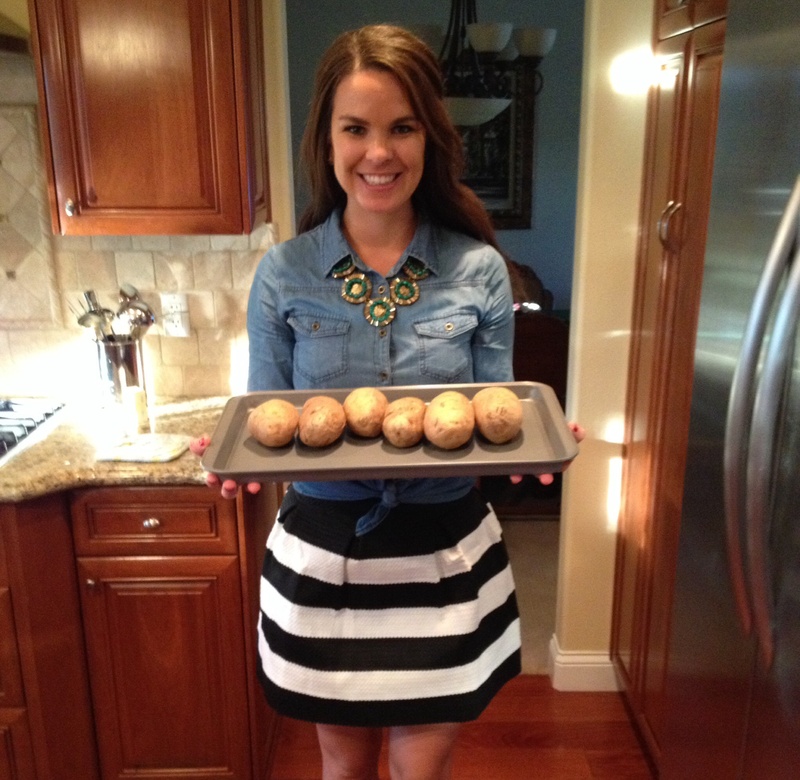 Today–twice baked potatoes! Using a knife, poke holes in the potatoes prior to putting in the oven. This allows the potatoes to breath and the heat to spread evenly inside. And so they don’t burst! 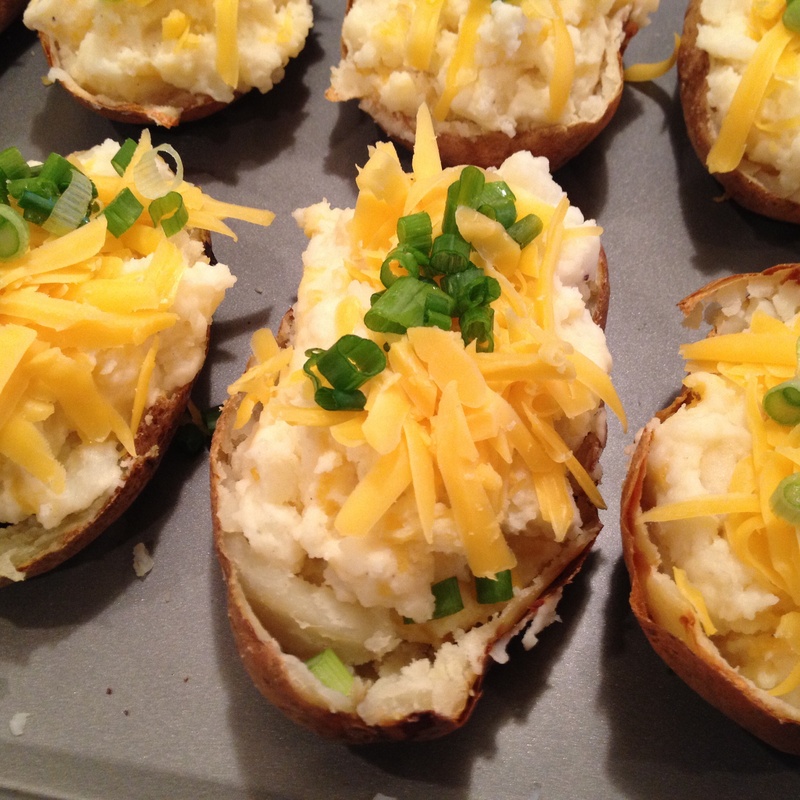 Bake the potato for about 30-40 minutes. You will know when the potatoes are done when you can easily put a butter knife through each of them. 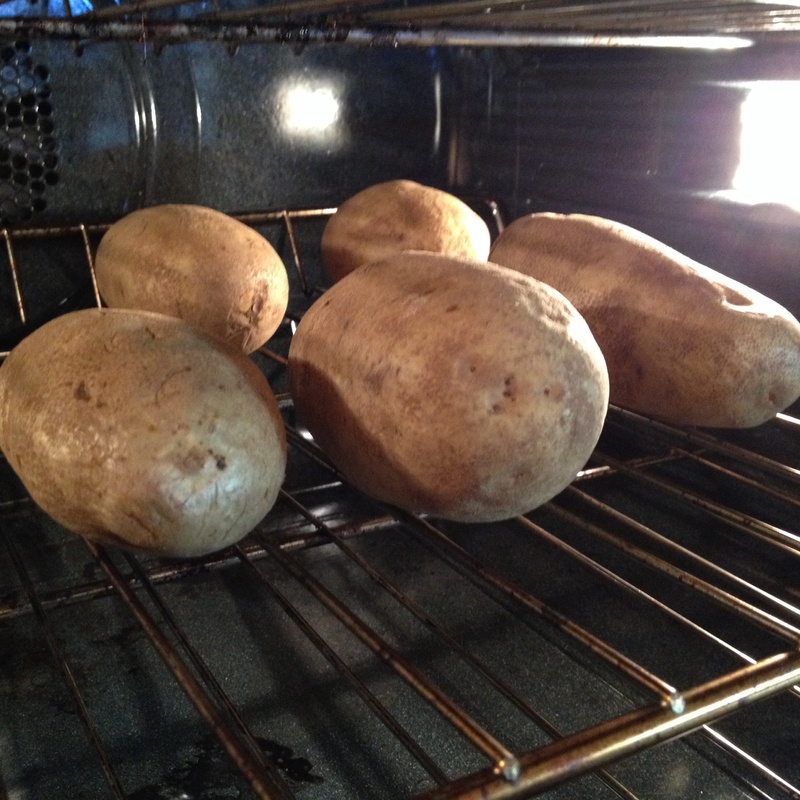 Remove the potatoes from the oven and let them sit for 5 minutes. Using a sharp knife. Slice the potatoes in half, long ways. 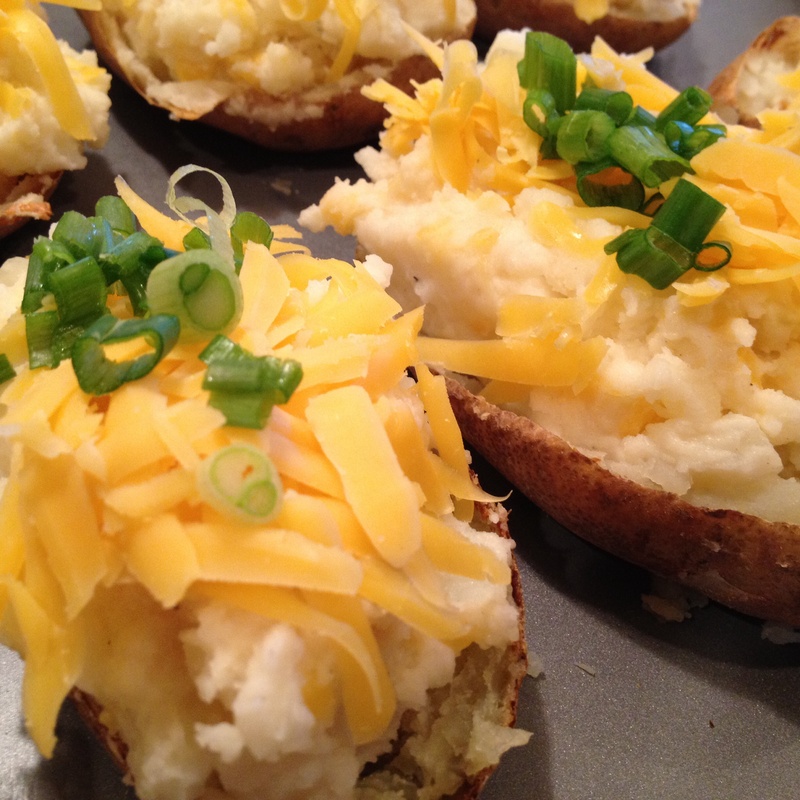 Using a spoon, scoop the inside of the potatoes out and place into a big mixing bowl. Scrap as much out as possible without breaking the skin. Once complete, add the butter to this warm mixture to melt. While melting, add sour cream, garlic, milk, 1 1/2 cup cheese, basil leaves, salt and pepper. Mix with a hand mixer or a wooden spoon. 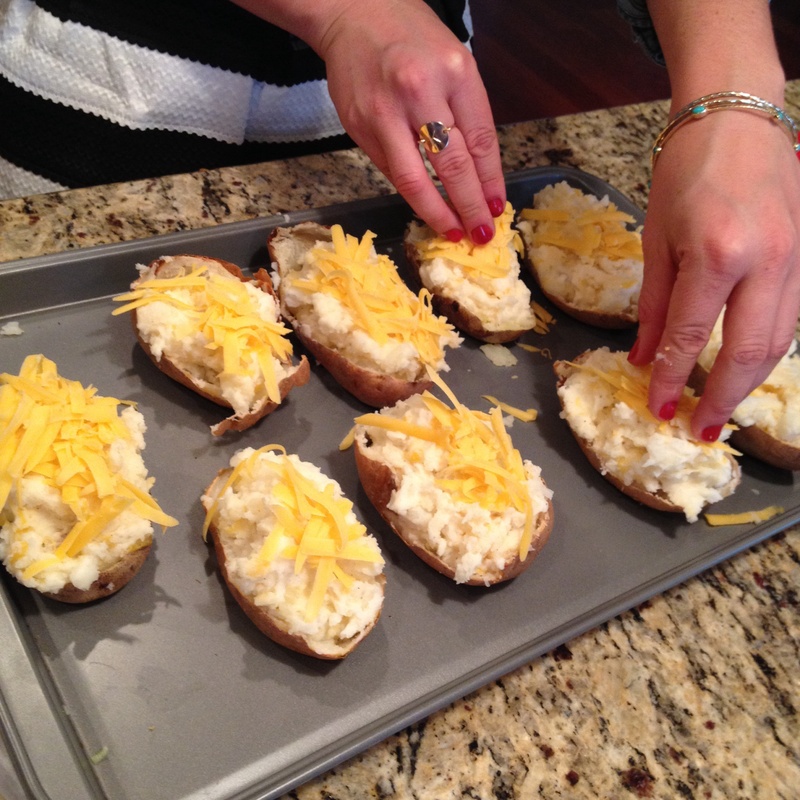 Once all the ingredients are combined, add the potato mixture to the potato skins. Top the stuff onions with the remaining shredded cheese. Place in the heated oven for 10-15 minutes. Then turn the oven to broil and let the potatoes broil for 1-2 minutes. The cheese should melt and the tops should get a little brown. Remove the potatoes from the oven. Top with green onions/ chives and serve! Your football crowd will be pleased!